Today, young children are more tech-savvy than generations before them. From the earliest age, most can pick up one device or another and find websites, online games and videos to keep them entertained for hours on end. So, if you’re planning a birthday party for a group of young children, it makes sense to know of more than a few online party games. But, what if young children want to get out and enjoy the glorious sunshine? Isn’t it best to have a mixture of party games you can play online and more traditional games? Here are three traditional children’s party games sure to get young children engaged and make sure that your son or daughter enjoys the best birthday ever! The staple children’s party game for generations, pass the parcel is one party game that will get little ones giggling with excitement! Perfect for children aged 3 and above, it involves a little preparation on parents’ part, but is worth it to watch the happy smiling faces. Pass the parcel is a great indoor or outdoor game. You can prepare the parcel in the days leading up to the party, taking care to wrap the gift with as many layers as you can. Each layer can include a sweet treat so when the music stops the lucky child will get a prize! The premise is simple. All you need to do is arrange the children in a circle. Play some music as each child passes the parcel around. Each time the music stops, the child with the parcel in it’s hand gets to unwrap a layer of the parcel – and wins a yummy treat. Keep going until the last layer is torn from the parcel, with the winner getting to keep the prize. Perfectly complementing and online or TV party games, pass the parcel is a simple game full of excitement – teaching children the value of fairness and inclusivity. Who hasn’t been apple bobbing at one time or another! A simple, yet funny game in which children take it in turns to try and grab an apple floating in water with their teeth, without once using their teeth, apple bobbing is certain to entice a giggle or two. All you need to do is fill a large tub with cold water and let a few apples float in the water. Children then lean over the tub with and try to grab an apple or two. The young one who collects an apple the fastest is the winner! Before you start filling tubs full of water, it’s wise to consider the environment. Bobbing for apples is a great deal of fun, but water sloshing from the tub to the floor is inevitable. Online party games should always be played in a separate room from your apple bobbing fun. Pin the Tail on the Donkey is a classic children’s birthday party game that is perfect for boys and girls alike. Shop online and you can buy ready prepared kits, or if you’re artistic – or want to add an extra element of creative fun why not draw, or get young ones to draw a donkey without its tail and a tail itself. Once you have your donkey, pin the picture to a wall. Grab some pins and a blindfold and attach a pin the donkey’s tail. Each child then takes it in turns to pin the tail as close where they think it is one the picture. The great thing about pin the tail on the donkey is that it’s just simple fun. Online party games are great for children’s parties, but there’s a certain nostalgic charm in watching young ones try to pin the tail on a donkey – and listening to young one’s laugh when they pin the tail to its nose is music to parent’s ears! So, there’s three great games that will make sure that your child’s birthday party is a roaring success. 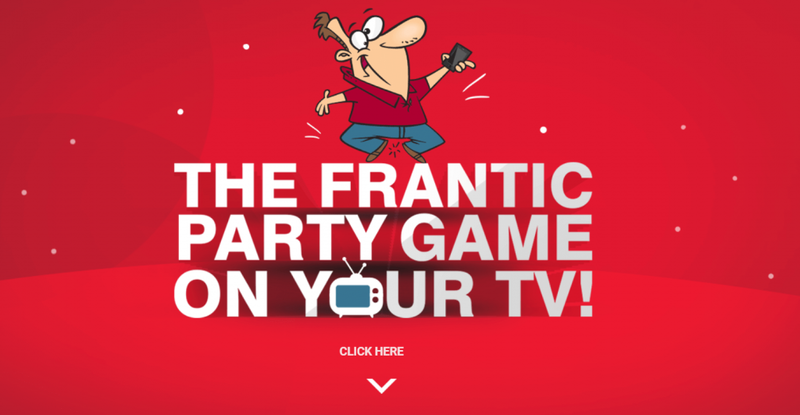 Perfectly complementing TV party games, like The Name Game, each game is certain to put a smile on young one’s faces.